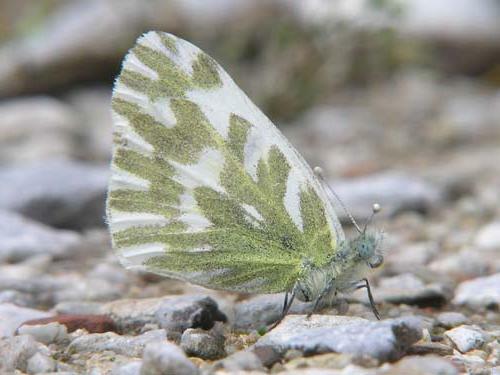 This is one of Europe's rarest species and is extremely unlikely to be encountered without a targeted search. 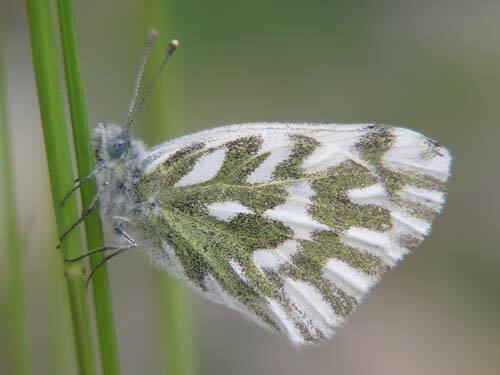 Identification & Similar species: Resembles the other bath whites and the dappled whites, Pontia & Euchloe species. 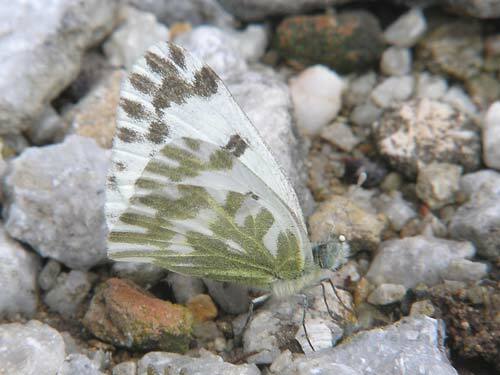 On the underside hindwing discal line is continuous and the shape of the submarginal white marks help separate this species from the similar eastern bath white, P. edusa. 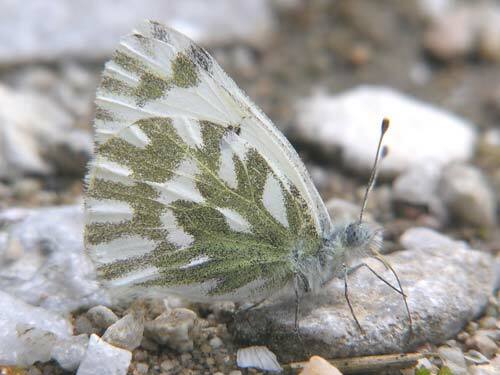 Distribution & Flight: It flies in small widely spaced colonies in parts of extreme northeast Greece, FYROM (Former Yugoslav Republic of Macedonia) and Bulgaria. 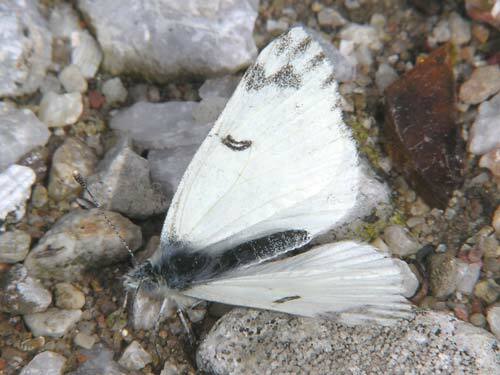 There are a significant number of records from Finland (several dozen) indicating that it arrives here as a regular, if infrequent, migrant. I don't know where they originate from. Double brooded flying in early May and mid June. 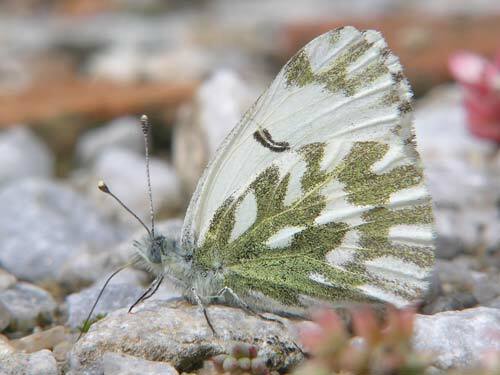 Habitat & Behaviour: The habitat is distinctive. The foodplant only appears to grow on regularly disturbed pebbly places that generally occur at rivers and streams where periodic water flows prevent extensive growth of plants.